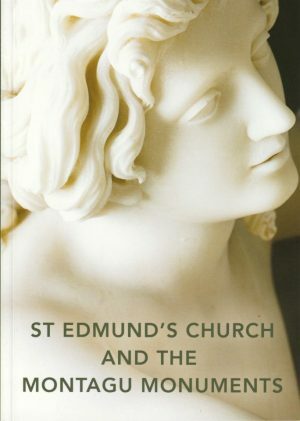 A guide to an English church with magnificent monuments. St Edmund’s Church in the beautiful village of Warkton, Northamptonshire is an unassuming place – but it holds some of the most exquisite sculptures in all of Britain. Commissioned by the local Montagu family, these four Baroque marble statues commemorate the lives of four of their members. Two of the statues were created by Louis Francois Roubiliac, one of the greatest sculptors of Georgian England. This illustrated guide explains the history of St Edmund’s Church, the Montagu family and the monuments they erected between the 1750s and 1830s. It also details their painstaking restoration in recent years and the role of the church in the community. Other than the rebuilt chancel there is no external clue that St Edmund’s contains an exceptional grouping of four funerary monuments, three of which are of national, if not international, importance. Created by master sculptors – Louis François Roubiliac, Peter Mathias van Gelder and Thomas Campbell – they memorialise the last three generations of the Montagu family of nearby Broughton House. The two monuments (1754) by Roubiliac to the 2nd Duke, John and his Duchess Mary Churchill are stunning examples of Rococo design at its finest and their installation caused the rebuilding of the medieval chancel, creating a magnificent setting for further monuments. Their daughter Mary Montagu, wife of the 3nd Duke, is commemorated by a dramatic theatrical monument (1781) by van Gelder, set in a niche in the style of Robert Adam. Finally, Campbell’s monument to Elizabeth, Duchess of Buccleuch (1827) presents a dignified and formal image of the eighty-four year old matriarch of her family. Concerns about their condition led to major works in 2014 to clean, repair and stabilise the monuments and they can now be appreciated perhaps better than it has ever been possible before.